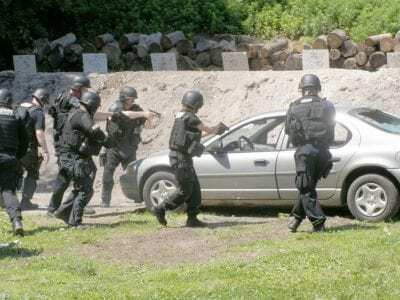 With weapons drawn, members of the Putnam Emergency Response Team surround a car during an exercise last Friday. The world is a frightening place. Shootings, hostage situations, and acts of terrorism on the innocent have become all too common. Putn… Please login below or purchase a subscription to the Putnam County Courier to access this content. Legislator Mary Ellen Odell is ecstatic now that Putnam’s electronic arraignment bill has been approved by the State Assembly. Odell, who co-chairs the county’s Commission on Fiscal Vision and Accountability along with Neal Sullivan, worked long a… Please login below or purchase a subscription to the Putnam County Courier to access this content. A group of young ladies give a thumbs-up as they prepare to graduate from Carmel High School. … Please login below or purchase a subscription to the Putnam County Courier to access this content. The upcoming Putnam Valley election season is sure not to be dull thanks to an intriguing cast of characters. Democrats are putting together their opposition ticket with hopes of unseating current Republican supervisor Bob Tendy. Dawn Powell, a pro… Please login below or purchase a subscription to the Putnam County Courier to access this content. Down! Down! Down! For the third consecutive month, Putnam County coffers have taken a hit when it comes to sales tax revenue. Commissioner of Finance William Carlin released the county’s monthly sales tax report Monday evening at a meeting of the … Please login below or purchase a subscription to the Putnam County Courier to access this content. Fr. 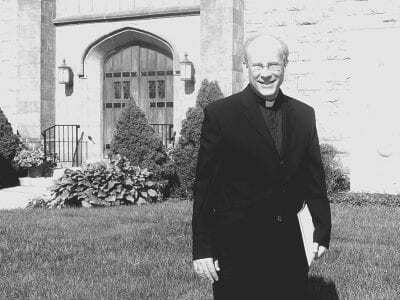 McKeon, pastor of St. Lawrence O’Toole in Brewster St. Lawrence O’Toole Catholic Church of Brewster plans on building a new church building along Route 6 to serve its congregation of nearly 2,400 families. In advance of a proposal phase, a surve… Please login below or purchase a subscription to the Putnam County Courier to access this content. Another case of swine flu (novel influenza A H1N1) has been confirmed in Putnam County. Putnam Health Commissioner Dr. Sherlita Amler reported the incident Monday, telling the Courier the illness has brought the total to four laboratoryconfirmed c… Please login below or purchase a subscription to the Putnam County Courier to access this content. On April 15, Todd Harvey, a businessman in Fishkill organized one of many Tea Parties, launched across the nation to protest the government organized bailouts, and the threat of increased taxes. Nearly four thousand citizens joined Harvey at Dutche… Please login below or purchase a subscription to the Putnam County Courier to access this content. Lidia Castaneda of Carmel checks out special t-shirts with Joanne Ryan, Putnam’s Lead Poisoning Supervisor. Putnam County’s WIC (Women’s Infant’s Children’s) Program continues to expand. WIC offers nutritious foods and infant formulas for low-incom… Please login below or purchase a subscription to the Putnam County Courier to access this content.